The Club House is conceived as a welcoming and cosy place for our guests to take a break in. A spacious patio facing the golf course is connected with the club's bar where our guests will find quality service and kind staff. An elegant tv room and a homely sitting room where our guests can play cards or simply rest after a day spent out on the green. 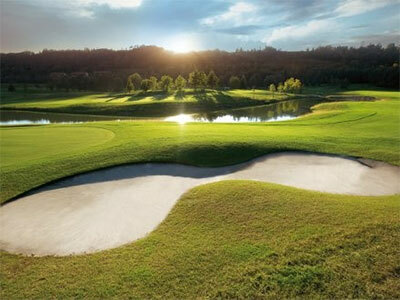 The 18-hole course was designed by the designer, Franco Piras, like a true championship course of 6606 meters with the presence of 5 lakes that give the strategically placed holes, in addition to length, a high technical content. 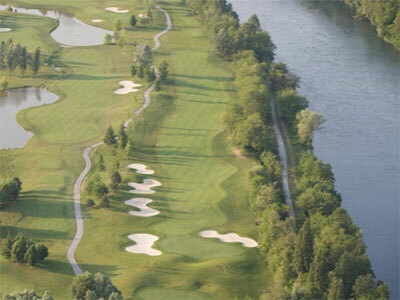 Every hole, however, thanks to its 5 tees starting will give full satisfaction to the players even less powerful.